Assistive Tech web interface for target practice at gun range with Raspberry Pi, Pi Wing (FEATHER adapter and CRICKIT) @at_makers @raspberry_pi @adafruit #adafruit « Adafruit Industries – Makers, hackers, artists, designers and engineers! 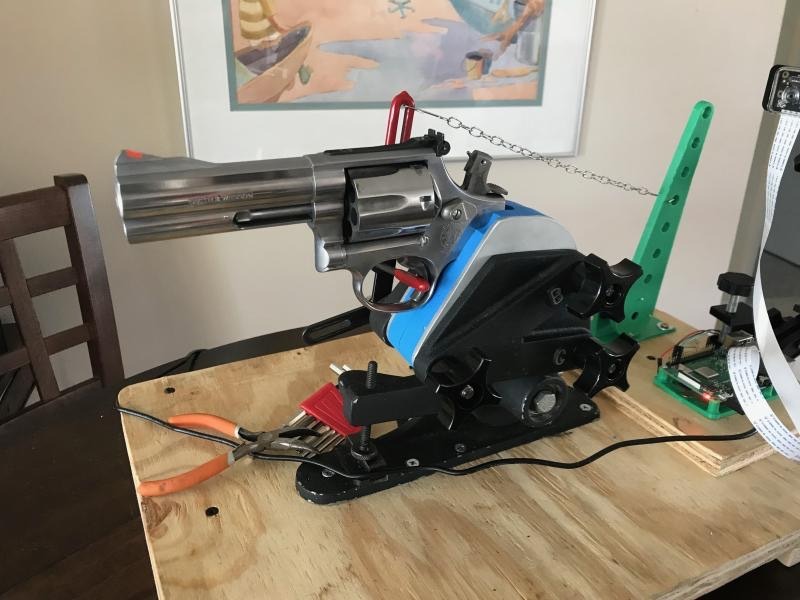 Assistive Tech web interface for target practice at gun range with Raspberry Pi, Pi Wing (FEATHER adapter and CRICKIT) …. (video). As seen on the show and tell! Micheal (about him here) he says about himself’ “he doesn’t walk, nor does he breathe without the assistance of machines… Michael also doesn’t speak due to a little breathing tube in his throat.” Micheal has SMA, spinal muscular atrophy (This American Life). This quick video shows how we automated a pistol for Mike Phillips to check off an item on his “Things to Do” list. We also talk about the Raspberry Pi – Feather adapter I made and how we plan to use web interfaces to automate future projects. Update – He did it! Update – Here’s Bill’s overview and video.